Kessler, F. (2014). Mise en Scène. Montréal: Caboose. The Belgian film critic Dirk Lauwaert once proclaimed that mise en scène is the “most beautiful word” when talking about cinema. 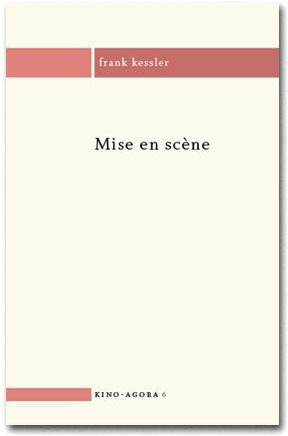 In this volume Prof. Frank Kessler charts the term’s use from its origins in theatre circles in the 19th century, through to the auteur theories found in French film criticism of the 1950s and 60s, up to the present day and the place of mise en scène in the contemporary digital cinematic landscape. Mise en scène, when understood as one of the most fundamental techniques of filmmaking, has always been a part of film history, from Georges Méliès’s ‘artificially arranged scenes’ to contemporary block busters or art house movies. But the practices to which the term refers have changed over time, and recent developments have shown that the complex interplay between space, actors and camera is also dependent upon technological constraints. Mise en scène disentangles the various ways in which mise en scène appears in writings about film, with regard to its descriptive scope as well as its strategic functions. It also looks at the different practices of mise en scène and the way in which these are conceptualised. Kessler’s three-pronged historical, theoretical and practical approach fills a major gap in the existing literature on cinematic mise en scène. Thissen, J., Zijlmans, K. and Zwijnenberg, R. (eds). (2013). Contemporary Culture: New Directions in Art and Humanities Research. Amsterdam : Amsterdam University Press. Are the humanities still relevant in the twenty-first century? In the context of pervasive economic liberalism and shrinking budgets, the importance of humanities research for society is increasingly put into question. This volume claims that the humanities do indeed matter by offering empirically grounded critical reflections on contemporary cultural practices, thereby opening up new ways of understanding social life and new directions in humanities scholarship. The contributors argue that the humanities can regain their relevance for society, pose new questions and provide fresh answers, while maintaining their core values: critical reflection, historical consciousness and analytical distance. Among the authors in this volume are René Boomkens, Martijn de Waal, Sybille Lammes, Joost Raessens, Michiel de Lange, René Glas and José van Dijck. Our interactions with screens have changed profoundly over the past several decades– from the development of mobile devices to the continued importance of digital technology, the intersection of mobility and visuality is a fascinating and timely subject for study. Looking at the cultural practices that ground our relationship with screens, Nanna Verhoeff offers a historical and comparative approach to screen-based media and digital culture. This smart, sharp addition to the field of media studies focuses on the innovation and transformation of mobile, urban, and location-based screens. An important work for scholars who study technology, geography, and art, Mobile Screens offers a powerful look at the emergent visual culture of navigation and the way in which we engage with screens as part of our spatial, temporal, and tangible experiences of the world. Gomery, D. and Pafort-Overduin, C. (2011). Movie History: a Survey. New York, London: Routledge. How can we understand the history of film? Historical facts don’t answer the basic questions of film history. History, as this fascinating book shows, is more than the simple accumulation of film titles, facts and figures. This is a survey of over 100 years of cinema history, from its beginnings in 1895, to its current state in the twenty-first century. Section One looks at the era of silent movies from 1895 to 1927; Section Two starts with the coming of sound and covers 1928 until 1950; Section Three runs from 1951 to 1975 and deals with the coming and development of television; and Section Four focuses on the coming of home video and the transition to digital, from 1975 to 2010.
references and further reading at the end of each chapter to enhance further study. Written by two highly respected film scholars and experienced teachers, Movie History is the ideal textbook for students studying film history. Van Oort, T. and Thissen, J. (eds). (2010). “Het Filmbedrijf en de Markt”. Tijdschrift voor mediageschiedenis, volume 10, Number 2. Special Issue. ‘Een begrip van het complexe fenomeen “film” in zijn huidige gedaante veronderstelt de grondige en nauwkeurige kennis van zijn economische grondslagen’, stelde Peter Bächlin in 1945. In de decennia na het verschijnen van zijn dissertatie Der Film als Ware heeft filmwetenschappelijk onderzoek een vaste plek gekregen binnen het academische veld, maar onze kennis van de economische dynamiek van het medium film is nog steeds beperkt. Dat het filmbedrijf meer is dan een producent van kunst en cultuur wordt door de cinefiele onderzoekers liever snel vergeten, zeker wanneer het de Europese cinema betreft. 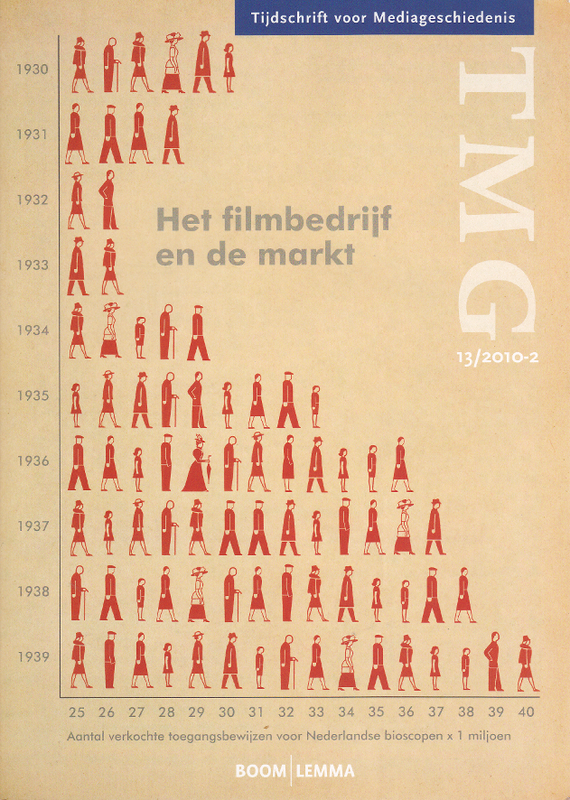 De commerciële oriëntatie van de filmindustrie wordt veelal eenzijdig geassocieerd met Hollywood zonder dat dit overigens heeft geleid tot een structurele verankering van economische analyses in het onderzoek naar de Amerikaans film of tot een systematische benadering van het publiek als klant en consument van een op kapitalistische basis geproduceerd en gedistribueerd amusementsproduct. Ook binnen de recente filmgeschiedschrijving in de lage landen is er weinig aandacht voor economische vraagstukken. Een korte blik op de inhoudsopgaven van het Tijdschrift voor Mediageschiedenis en zijn voorgangers maakt duidelijk dat culturalistische perspectieven het onderzoek domineren. Dit gebrek aan interesse voor ‘de centen’ levert een geschiedenis op van film en bioscoop waarin de economische motieven van ondernemers en bedrijven alleen zijdelings een rol spelen en de impact van macro-economische ontwikkelingen op de filmcultuur grotendeels buiten beschouwing blijft. Met dit themanummer hopen we verandering te brengen in deze blinde vlek en de lezers te overtuigen dat ook economie een boeiend onderwerp kan zijn en essentieel is voor ons begrip van het filmhistorische verleden. Tegelijkertijd bepleiten wij hier geen eendimensionale ‘economic turn’. Juist het spanningsveld tussen commerciële, culturele en sociale aspecten – een spanningsveld dat kenmerkend is voor creatieve industrieën – loopt als een rode draad door de meeste bijdragen aan dit themanummer. Kessler, F. and Verhoeff, N. (eds). (2007). Networks of Entertainment: Film Distribution from 1895 to the 1910s. Eastleigh: John Libbey Publishing. As these essays show, distribution is in fact a major force structuring the field in which cinema emerges in the late 19th and early 20th century, a phenomenon with many facets and many dimensions having an impact on production and exhibition, on offer and demand, on film form as well as on film viewing. A phenomenon that continues to play a central role for early films even today, as digital media, the dvd as well as the internet, are but the latest channels of distribution through which they come to us.